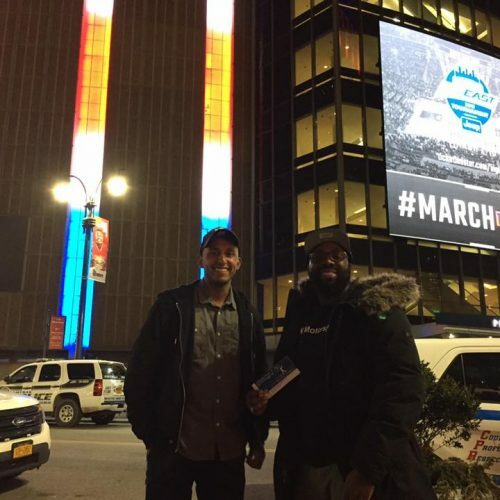 The New York Rangers Make Warrior Wishes Come True! 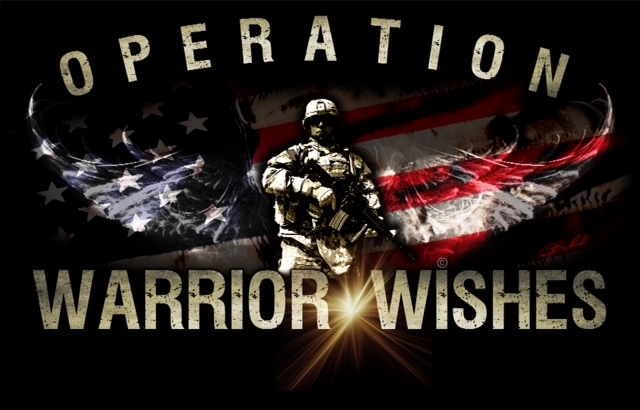 Operation Warrior Wishes would like to thank the New York Rangers for helping us make wishes come true! TOGETHER WE MAKE WARRIOR WISHES COME TRUE! 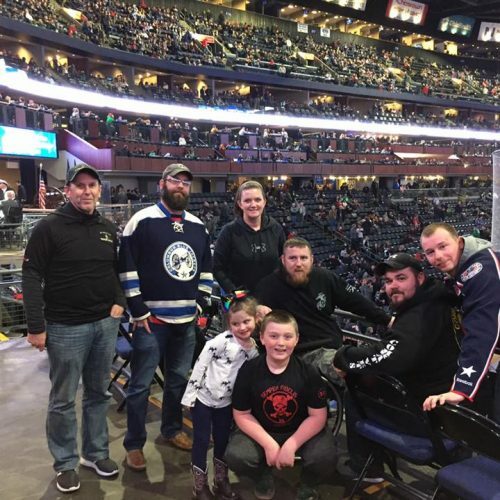 Warrior Wishes Come True At The Columbus Blue Jackets Game! Making Warrior Wishes Come True At the New York Rangers Game! 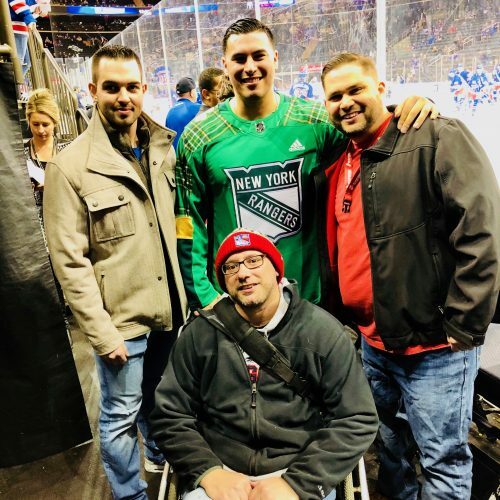 Operation Warrior Wishes was honored to host Army veteran Nick Gradowski & Navy Veteran Marcellus McCullough at their first ever New York Rangers game! Check Back Soon For More Details! 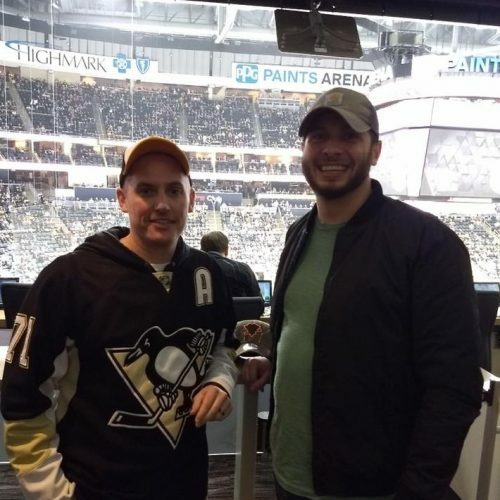 The Pittsburgh Penguins Make Warrior Wishes Come True! 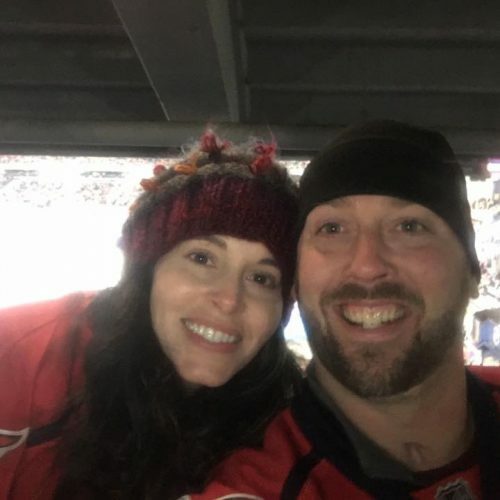 Warrior Wishes Come True At The Stadium Series Game in Annapolis! 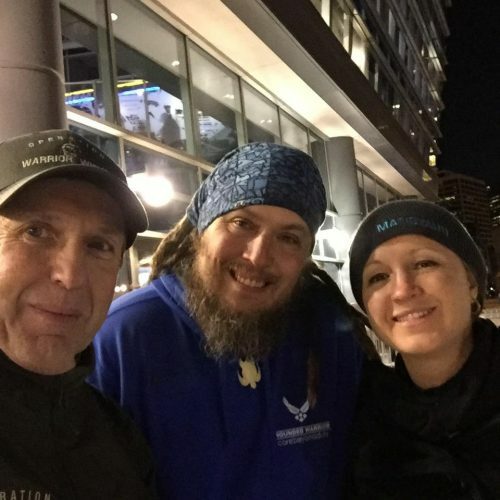 Operation Warrior Wishes was honored to host Army SGT Adam Keys at the Stadium Series game in Annapolis! Check Back Soon For More Details! The Chicago Steel Honor Heroes & Help Keep Army PFC Aaron Toppen’s Legacy Alive! 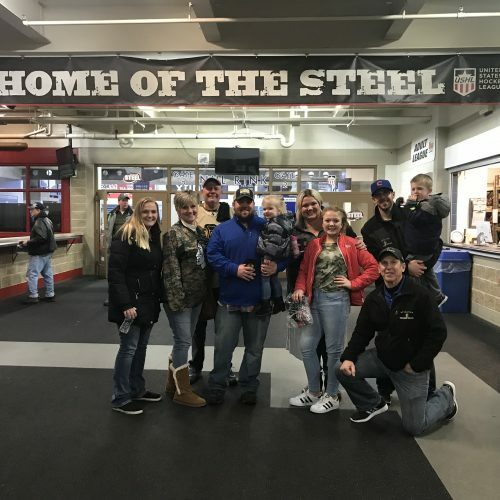 Operation Warrior Wishes would like to thank the Chicago Steel for helping us Honor heroes & keep Army PFC Arron Toppen’s Legacy alive! TOGETHER WE MAKE WARRIOR WISHES COME TRUE! 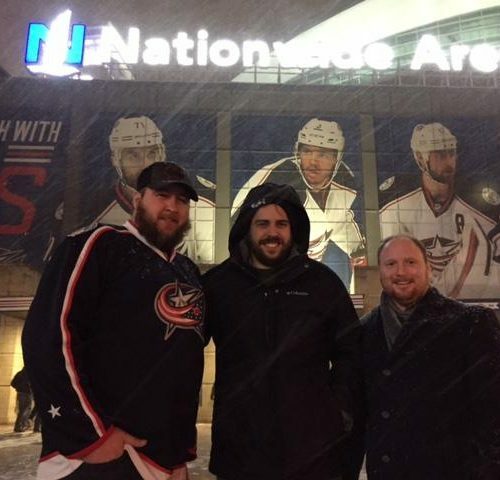 The Blue Jackets Make Warrior Wishes Come True! 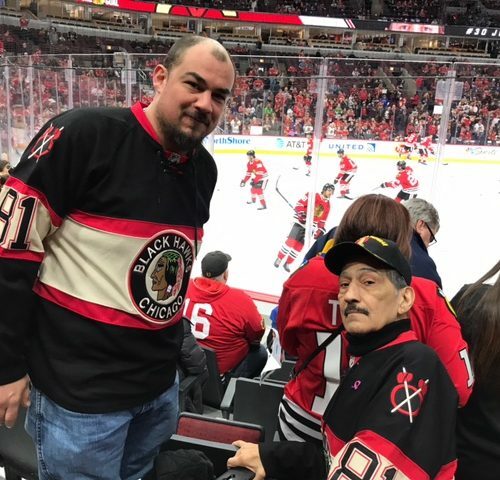 The Chicago Blackhawks Make Wishes Come True For A Vietnam Veteran! 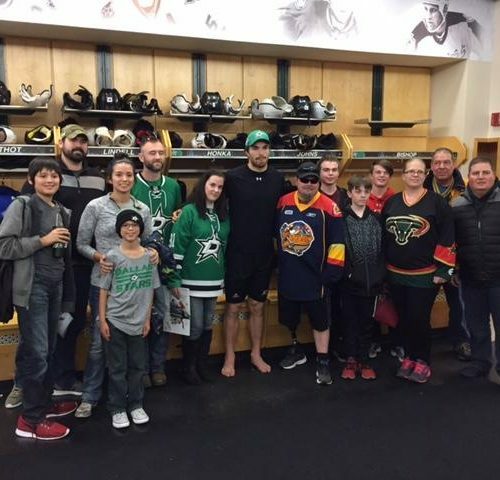 Stephen Johns & The Dallas Stars Make Warrior Wishes Come True! The St. Louis Blues Make Warrior Wishes Come True!